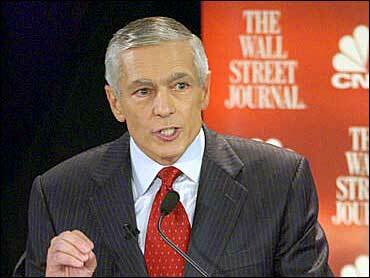 Democrat Wesley Clark says if elected president, he would create a corps of civilians who could be called up for service in national emergencies much like the National Guard. Every American age 18 or over could register for Clark's civilian reserve, listing skills that could aid the country in a disaster. Registration is voluntary and would involve a commitment to serve any time for five years. In times of national emergency, such as floods, forest fires or terrorist attacks, the president would have the power to call to duty up to 5,000 civilian reservists. Tours would last as long as six months. Congress could authorize more to be mobilized. Civilian reservists also could be sent overseas for jobs like reconstruction in Afghanistan and Iraq. Those who are called to duty would receive health care, a stipend, and the right to return to their jobs when their service is completed. Clark spokeswoman Kym Spell said the program would cost about $100 million a year and would be part of the Department of Homeland Security. In a speech prepared for delivery Tuesday at New York's Hunter College, Clark said the reserves "will reinvigorate America's ethic of service, tap the vast reservoir of skill, generosity, and energy that is the American people, and call millions more Americans to duty." Clark, a retired four-star Army general, also called for an expansion of the AmeriCorps national service program created by President Clinton. Clark's speech is the first of four that he will give over a month outlining his campaign agenda. Others will focus on health care, the economy and national security. Proposals to create a non-military national service date back at least to the New Deal, when in 1933, President Roosevelt created the Civilian Conservation Corps to employ jobless young men in projects on public lands. At its peak, the CCC involved 500,000 people. President Kennedy founded the Peace Corps in 1961 to sponsor Americans for service overseas in development projects. Some 170,000 people have gone through the program since. Mr. Clinton's Americorps project was a modern take on the Kennedy-era program, with a domestic rather than foreign focus. If a draft were to occur under the selective service system in which all male citizens register at age 18, conscientious objectors who refused military service would be assigned to alternative work in conservation or health care.